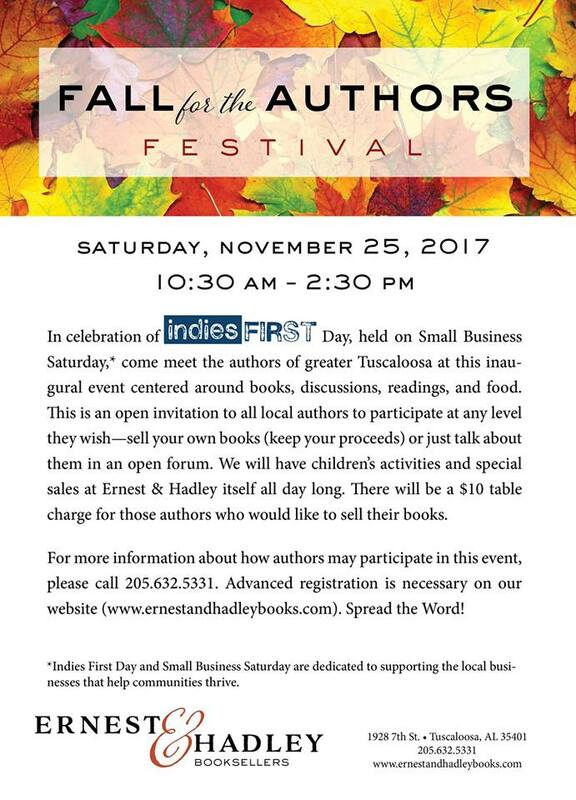 In celebration of Indies First Day, held on Small Business Saturday, come meet the authors of greater Tuscaloosa at this inaugural event centered around books, discussions, readings and food. We will have children's activities and special sales all day long! Please visit our website for more details.